An exciting race among native outriggers in the strait between Guimaras Island and Iloilo City. This is an activity every summer hedged with rules, umpires and kibitzers. A worldwide Muslim festival celebrating the end of the month-long fasting period of the Holy Month of Ramadam by the Muslims. 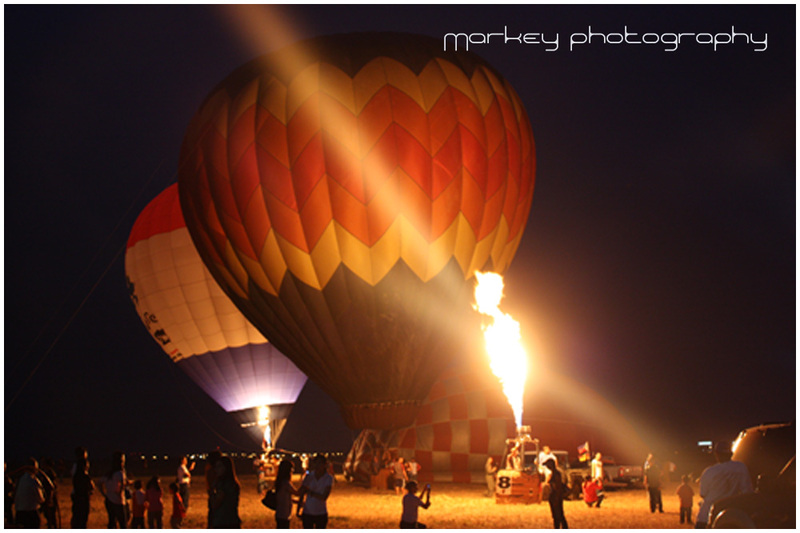 I’m so excited for this year Hot Air Balloon festival. Last year was my first time and since then I’m looking forward for the next event. So this year I hope i could join the festival. Tickets are available at the entrance for PhP 150 per person. You may also pre-order tickets from the main office. Call them at +63 2 384-0085, or through their mobile number: +63 927 340-4994. Tickets are available via TicketNet and from Recreational Outdoor eXchange at Bonifacio High Street. 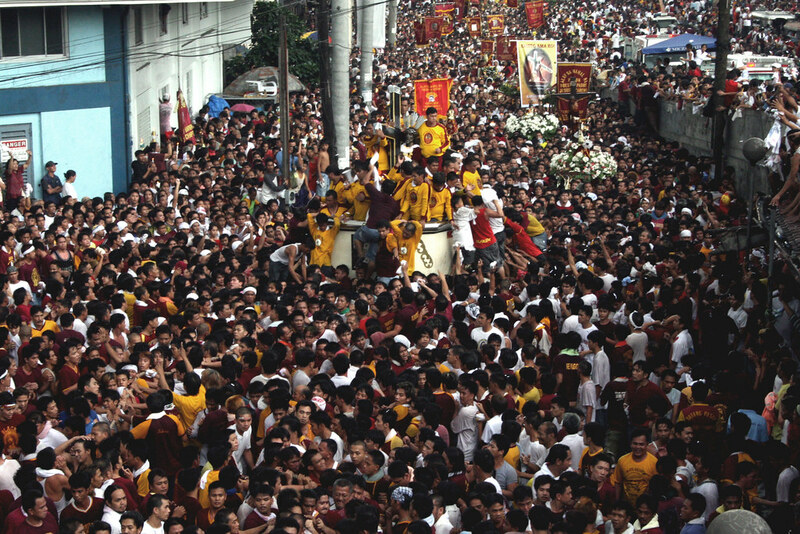 A grand Fiesta, this festival centers on the image of the Black Nazarene which was transported by galleon from Mexico to Manila in the 17th century. The festival is marked by an afternoon procession by thousands of devotees. 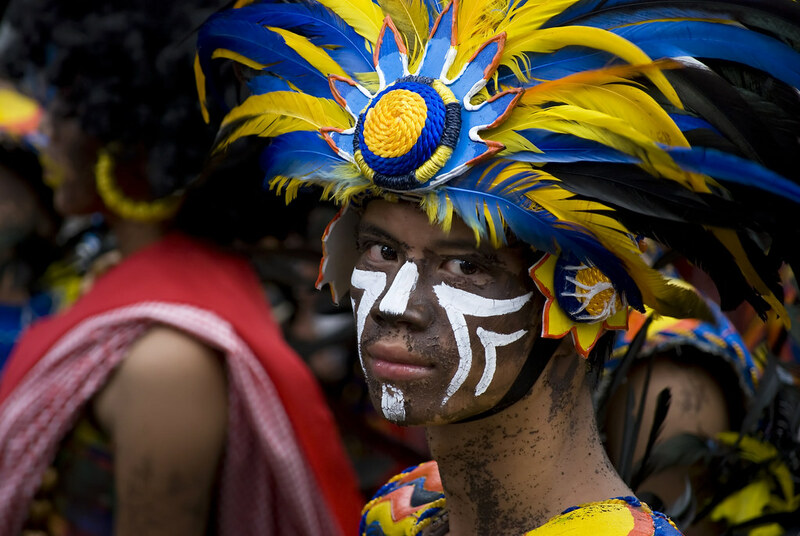 One of the most popular of the Philippine festivals, the Ati-atihan is a celebration in honor of the Sto. Niño. Revelers don colorful costumes and paint their bodies black and dance to the distictive beat of “Hala bira!” around the town. Spectacle characterized by a frenetic stomping of feet and hypnotic drumbeating. It is a colorful whirl of thousands of people dressed in unique costumes dancing and chanting all day and night. The founding of Pagadian City showcases the Subanon tribe’s rich cultural heritage by way of songs, dances and exhibits of musical instruments. 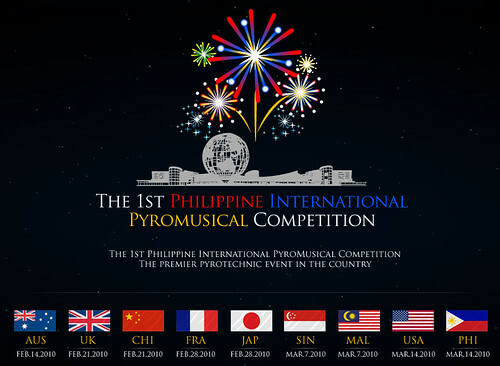 Here is the list some of the Philippine Festival. So plan ahead your trip and enjoy the colorful celebration. A festival is an event, usually and ordinarily staged by a local community, which centers on some unique aspect of that community. Among many religions, a feast or festival is a set of celebrations in honor of God or gods. A feast and a festival are historically interchangeable. However, the term “feast” has also entered common secular parlance as a synonym for any large or elaborate meal. When used as in the meaning of a festival, most often refers to a religious festival rather than a film or art festival. 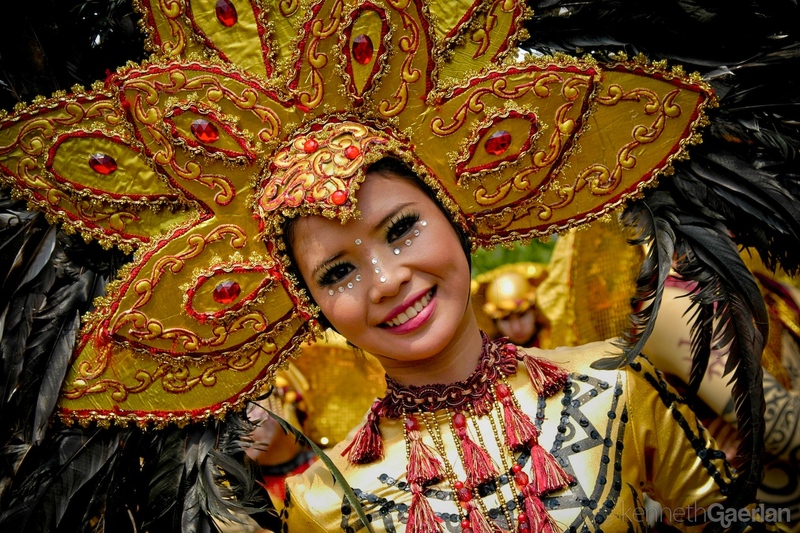 In the Philippines, there are hundreds of festivals and fiestas. 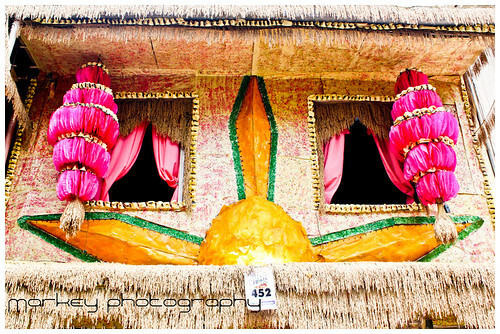 Festivals and fiestas Show how rich Filipinos are in terms of culture and believes this often show in the colorful and glamorous celebrations. This is my share in trying to build tourism thru photography and spectatorship. Every year, thousands of tourist and holiday makers flock to this historic town commended as one of the cleanest and most peaceful community in the country. Its cool, fresh and invigorating climate earns her the singular distinction of being called the Summer Capital of Quezon Province. The town’s natural scenic spots and colorful lifestyles add to the charm that entices both foreign and local tourists to visit the place. 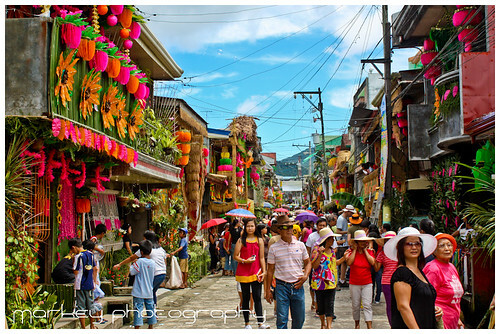 The San Isidro Pahiyas Festival held every May 15 has become one of the country’s tourist attractions prompting the Department of Tourism to list down Lucban as a tourist town and a cultural heritage site. 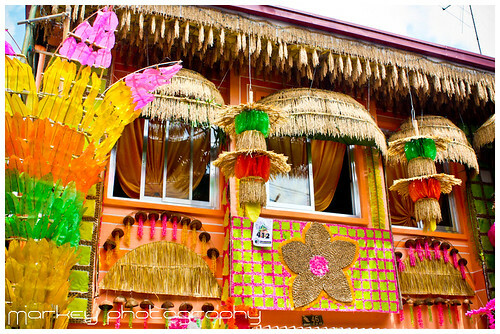 During the San Isidro Pahiyas Festival, each household tries to outdo each other in friendly competition as they vie for honor of recognizing their creativity. 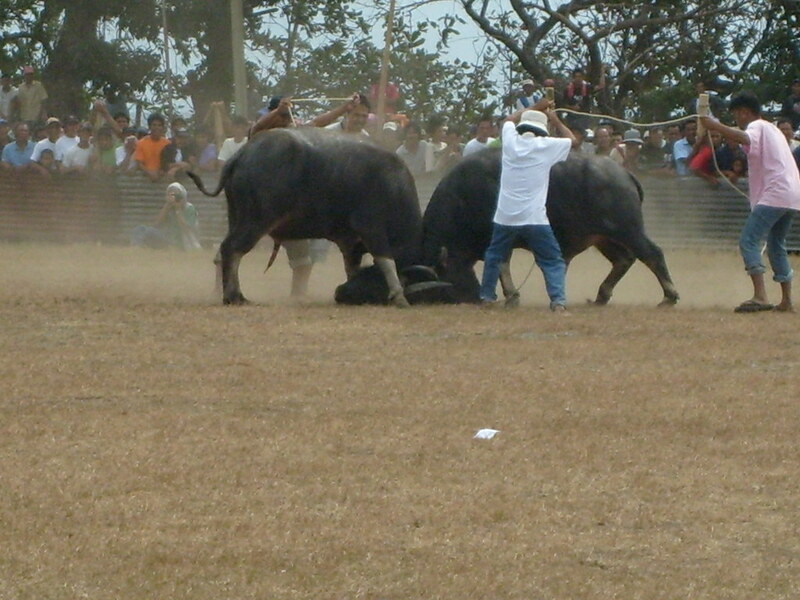 As incentives to their effort, prizes were given to the winning pahiyas based on a given criteria. This accounts for some of the most curious décor that the unstoppable spirit of the festival tends to show. 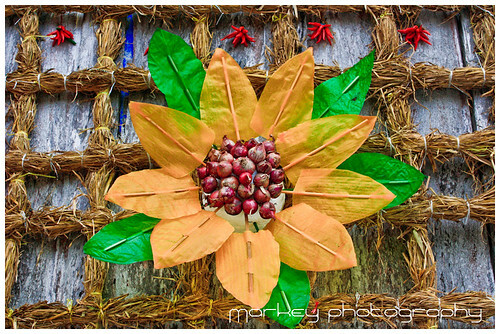 Decking the hall or decorating the wall with “Kiping” and agricultural harvest is what “PAYAS” or “PAHIYAS” literally means. Farmers show their bountiful produce such as chayote, radish, pepper and grains of rice. There are miniatures locally known as “ANOK”, fruits, vegetables and longganisa (local sausage) strung together in the most original fashion. Residents engaging in other forms of livelihood display their products too in thanksgiving. 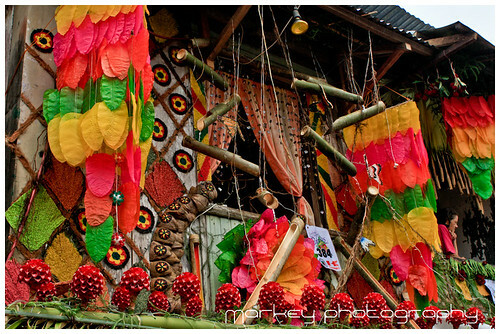 The handicraft manufacturer has his house decked with colorful buri/buntal hats, bags, placemats and others while the butcher has a head of roasted suckling pig (lechon) peeking from the window. The most traditional and certainly the most attractive décor comes of course in the form of “KIPING” which are adorn and strung together to form all sorts of shapes, from chandelier called “ARANGYA” to huge flowers. 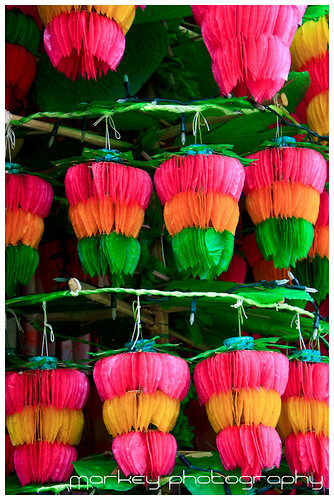 Kiping is made from ground rice flour, shaped using “cabal” leaves or other leaf forms and colored in radiant red, fuschia, yellow, green and other bright shades. When kiping catches the light of the sun it turns into a veritable cascades of color. 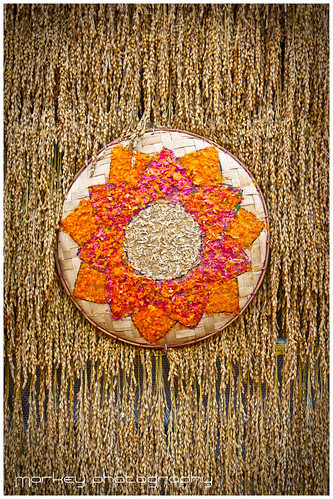 The celebration is a form of thanksgiving for a bountiful harvest and in honor of the patron saint of farmers, San Isidro de Labrador. 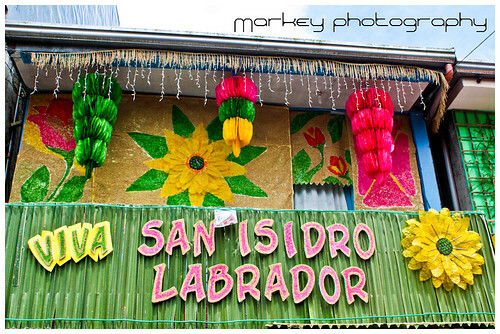 A procession of the image of San Isidro is planned long before the festival and it is said that houses along the route of the procession passes will be especially favored and blessed in the coming year. It is from this belief that the lavish decoration of the home began. After all, one must welcome the saint’s blessings with rapture and gratitude. Since the tradition started, Lucban benefits from this event through the TIYANGGE SA LUCBAN, an agro-industrial fair showcasing Lucban’s products. This fair features foods native to the town like the delicious Lucban longganisa, puto seko, broas, tikoy and other delicacies; ornamental plants like dapo and cutflowers; handricrafts such as buri/buntal hats, bags and a number of other cottage industry products.